This 3 day Elephant Encounters Linyanti Safari takes you into the vast western part of Linyanti in Northern Botswana. The area is renowned for its Elephant population and outstanding game viewing. 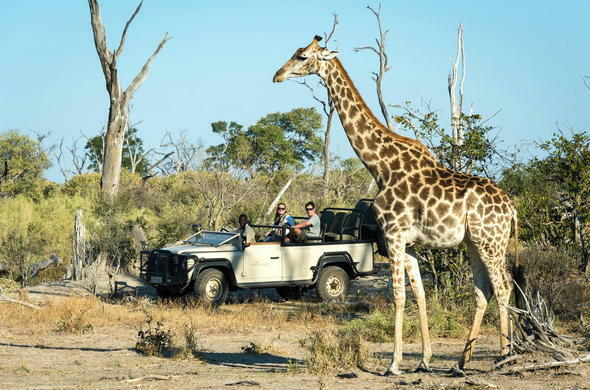 This Botswana package includes flights ex/to Johannesburg without set departure dates. This 3 day Fly-in Classic Linyanti Safari Package showcases one of Africa's greatest wildlife destinations. The Linyanti is now coming into its own, and is fast gaining a reputation as one of the best wildlife places to visit in Africa. Game drives and night drives are led by experienced guides who will ensure that you enjoy the ultimate Botswana Safari. The area is home to some of the highest concentrations of Elephant in the world, and large herds come down to drink at the Linyanti River in the dry winter months. However it is the birdlife that is the big draw during the wet season and avid birding enthusiasts will spot many species including rarities such as the Narina Trogon. You'll discover the spectacular scenery and amazing wildlife of the Linyanti region while on morning and evening game drives and exciting nature walks. Your professional guides will tell you about the interesting flora and fauna in the region. You'll also get to go on exciting boat trips down the Linyanti River to see Hippo and Elephant. 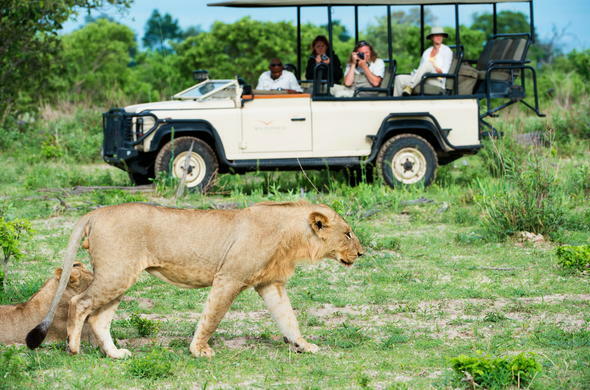 On the first day of your 3 day Fly-in Classic Linyanti Safari package you will arrive in Maun from Johannesburg. From there, you will be transferred by light aircraft to your luxury lodge in the northern part of Botswana where you'll spend the next 2 nights. The luxury lodge is overlooking a large Hippo-filled lagoon, close to the source of the Savute Channel in the western part of Linyanti. 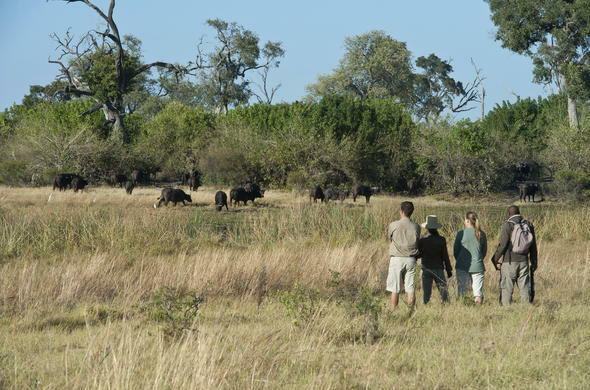 You will be in time to relax and enjoy refreshments before going on an afternoon game viewing activity where you may see rare Sitatunga, Lechwe and large herds of Buffalo. Afterwards you can take in the spectacular sunset while enjoying dinner out on the deck. Your day will start with an early morning wake-up call before you head out on a bush walk. These are led by experienced guides who know the area intimately, and can tell you about some of the animals and their habits. 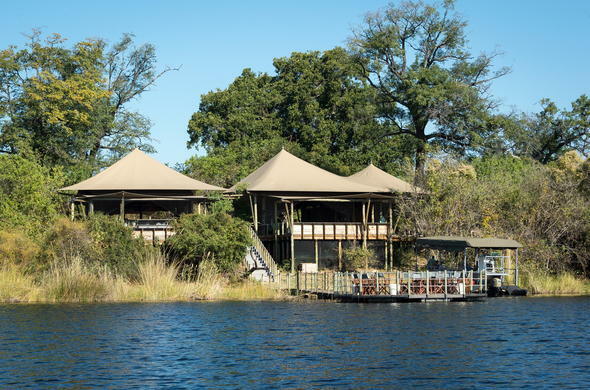 Alternatively, if the water levels are high enough, you may set out on a boating safari which is a great chance to see Hippo and the many waterfowl in the area. You'll return to the safari lodge for brunch and a rest during the heat of the day. In the heat of the afternoon many animals come down to drink, often passing very close to the lodge, meaning that you can enjoy great game watching from the comfort of your room. A luscious afternoon tea will be served after your siesta, followed by the departure of the evening game drive. You should have excellent game viewing and see animals including Impala, Wildebeest, Red Lechwe, Burchell's Zebra and Giraffe. The area is also renowned for its predator sightings and you may see Lion, Leopard, Cheetah and even Wild Dog. The last day of your 3 day Fly-in Classic Linyanti Safari Package will start with an early wake-up call, followed by tea and coffee. You will then enjoy one last game drive to see what animals you can spot followed by breakfast. You will be transferred to the airstrip before a light aircraft flight takes you back to Maun, where you will catch your flight to Johannesburg O.R. Tambo International Airport. This 3 day Fly-in Classic Linyanti Safari Package is calculated for 2 guests sharing accommodation in a tented camp, inclusive of all meals, game viewing activities and scheduled flights ex/to Johannesburg O.R. Tambo International Airport. 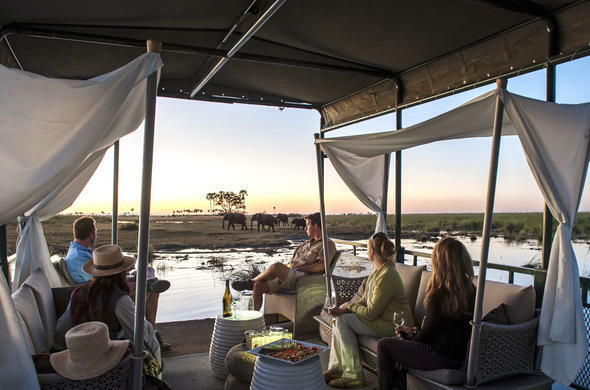 This Botswana fly-in package can also be combined with a stay in the Okavango Delta and the Central Kalahari.